These symptoms can be indicators of an intolerance or allergy. 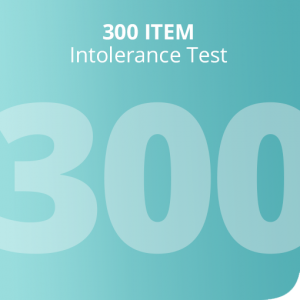 We have a range of tests to help you identify, food and non-food items, that can be causing you discomfort. Start improving your lifestyle today! Use your coupon code to complete the purchase of your chosen test. Take your hair sample and fill in the test submission form and send this to the address on the form. Receive your comprehensive test results via email within 7-14 working days. Unlike hair, blood tests can be affected by your last meal, stress or other factors. Hair can store information for periods up to 3 months, or more, allowing us to get a greater picture of your body’s health. Blood samples start to deteriorate quickly. Hair testing is a much faster process resulting in quicker results to our customers. Hair testing is non Invasive, so there is no need for any painful prick tests. Because our testing process is completed quickly and efficiently, we can pass these cost savings onto our customers. Your easy to read results will be emailed in PDF format along with some useful information about each item. Clear identification of items suspected to be causing intolerance issues. 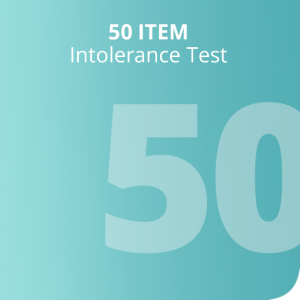 Percentage rating of items where there is a 85% chance, or more, of an intolerance. A description of the item and where it might be found. Emailed within 7-14 working days from receipt of hair sample. How do I take a hair sample? The safest way to take a hair sample is to ask someone else to help you. First, brush your hair upwards to reveal the root area at the back of the head, then holding a small amount of hair between the finger and thumb, cut the hair as close to the scalp as possible. If you do not have anyone to help you, try using a mirror, which may help ensure you avoid injury. My hair is very short, can you still complete the tests? The hair sample does not have to be from the head; we can test hair from any part of the body including leg, arm or chest. Where are the tests processed? All tests are processed at our testing facility in the UK. Once the hair sample has been received at our testing facility you will receive your results within 7 – 14 working days. How long will it take to get my results? 7-14 working days from the date that we receive your hair sample and test submission form. Please allow for postage time also. How do I contact Global Testing Lab? Please contact us via email on info@globaltestinglab.com. We aim to respond to all enquiries within 24 hours, between 9am Monday and 5pm Friday. Our testing facilities have just been upgraded and we have invested in 4 of the latest generation Bio-feedback machines. These machines are manufactured in Germany and are certified as a class IIa medical devices. 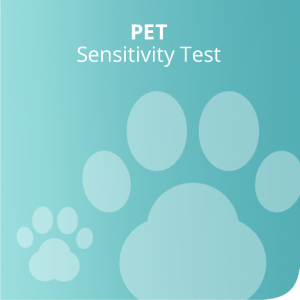 View our tests here and pick the right test for you or your pet it’s as simple as that! Disclaimer: Our test and this website does not make a medical diagnosis nor is it intended to be a substitute for professional medical advice, diagnosis, or treatment. Always seek the advice of your doctor or other qualified health provider if you have a medical condition or with any questions you may have regarding a medical condition and/or medical symptoms. Never disregard professional medical advice or delay in seeking it because of something you have read on this website. All probable or possible diagnoses generated by the test or this website need to be discussed and confirmed with a qualified medical practitioner. If you think you may have a medical emergency, call your doctor or the emergency services immediately. Reliance on any information provided by this Website is solely at your own risk. Some of the content on this Website may be provided by third parties and we are not in a position to verify this content. We do not warrant that any such third party content is true, accurate or complete. 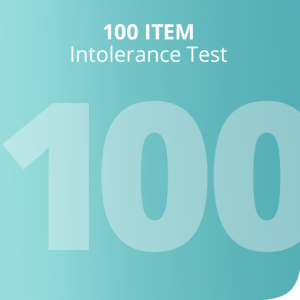 Our test does not measure type IgE allergies or IgG antibodies. 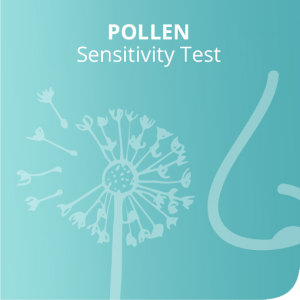 Since these reactions can be serious, you should seek the help of an allergy specialist. Having issues finding your country?